The first of a pair of memoirs in collection form, featuring essays, interviews, and even a brief comic on the history of airline food, from the master animator. In the first two decades of his career, filmmaker Hayao Miyazaki laid the groundwork for his legendary movies. 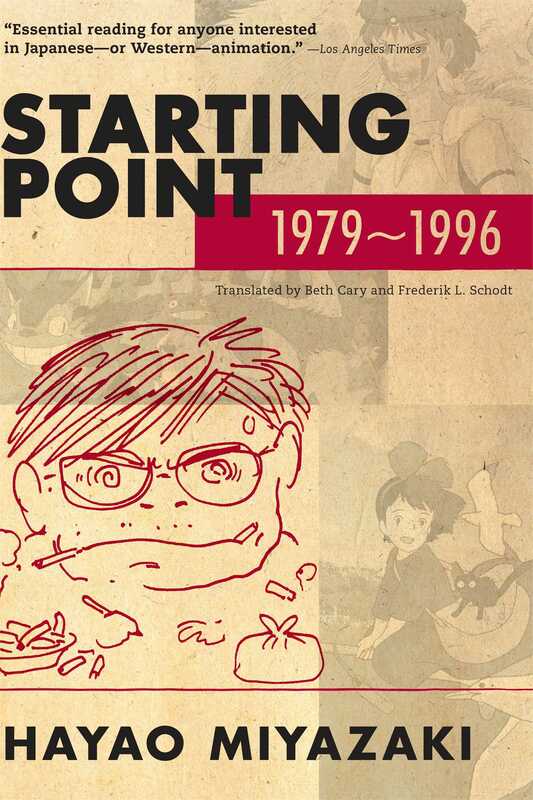 Starting Point is a collection of essays, interviews, and memoirs that go back to the roots of Miyazaki's childhood, the formulation of his theories of animation, and the founding of Studio Ghibli. Before directing such acclaimed films as Spirited Away, Miyazaki was just another salaried animator, but with a vision of his own. Follow him as he takes his first steps on the road to success, experience his frustrations with the manga and animation industries that often suffocate creativity, and realize the importance of bringing the childhood dreams of the world to life. Starting Point: 1979-1996 is not just a chronicle of the life of a man whose own dreams have come true, it is a tribute to the power of the moving image.